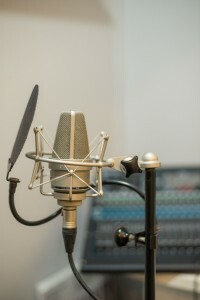 Shabir Music School was the brainchild of long time client, Shabir, a respected local Indian musician. 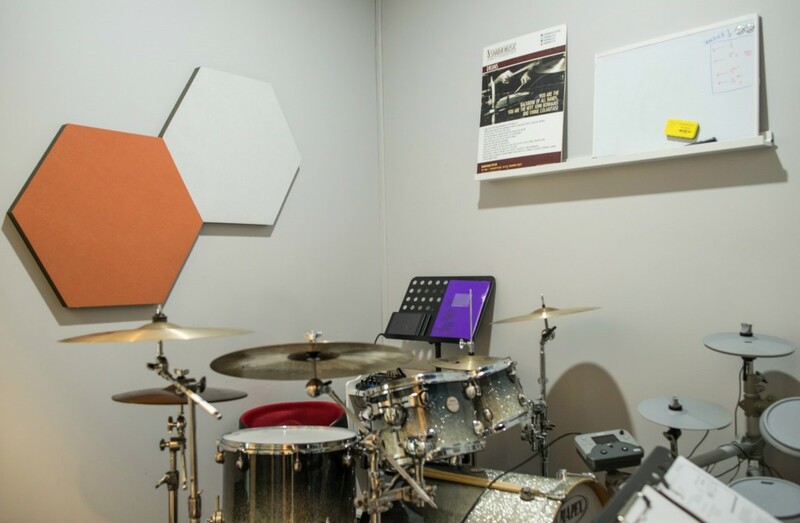 The idea was to create a music school that provided a good environment for learning where good sound isolation between rooms was pivotal. The limited school area of 70m2 required careful design in order not to introduce claustrophobia into the space. Being situated in a shopping mall, the school was flanked by 2 education centres, one adjacent to the school and one directly below. 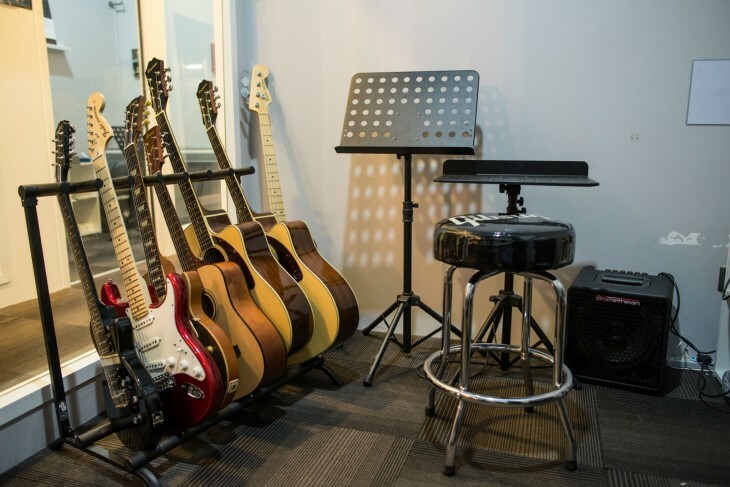 The design of the music school involved the creation of 2 rooms specialized for drums and 3 rooms that were able to be used interchangeably for vocal, instrumental and music production lessons. 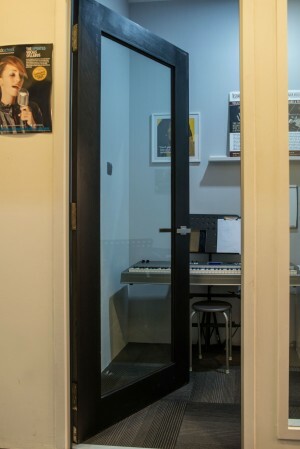 To ensure proper isolation of the rooms, Soundzipper designed glass framed acoustic doors were installed for the rooms. 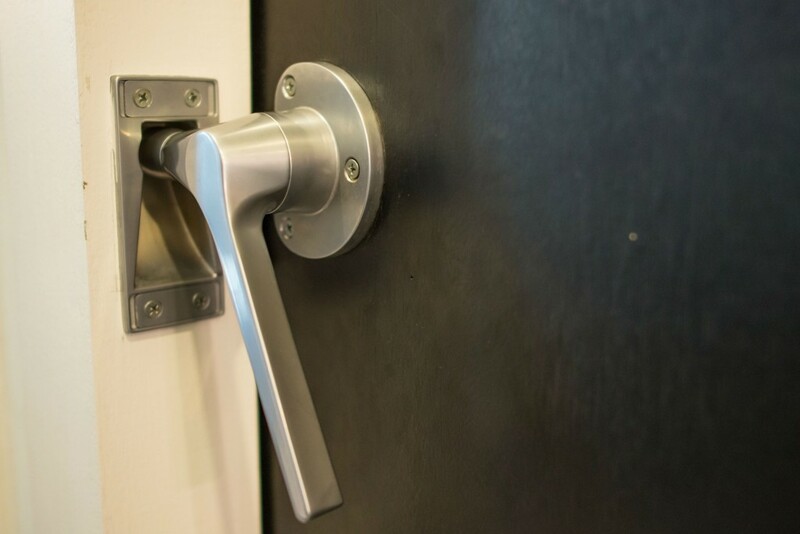 Special attention was paid to the drum room doors where a double rebate system with acoustical viewing window were specially commissioned. Full height acoustical glass was installed for each room, allowing a window into each of the rooms and the sense of openness. To mitigate disturbance to the adjacent education centre, acoustical walls were installed to provide sufficient isolation. The drum rooms had fully floating lightweight floating floors to reduce the transmission of drum vibrations to the education centre below. Finally, a special acoustically designed ventilation system was installed to improve airflow in the music rooms. The end result was a music school that had exceptional isolation both internally and from its neighbours.